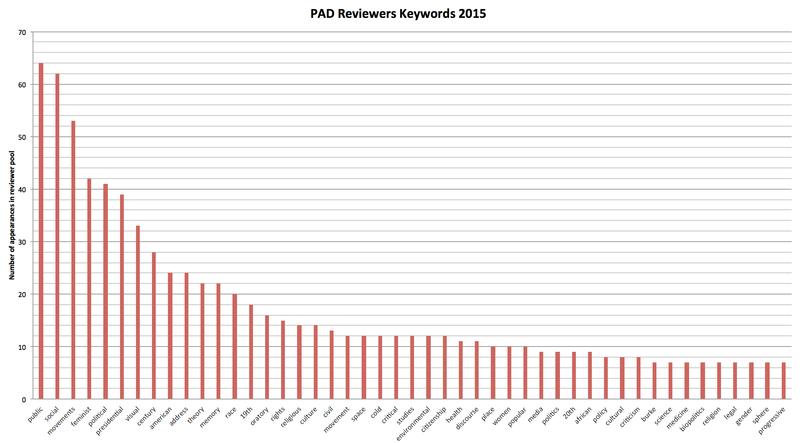 From vice-chair Lisa Keränen: a keyword density analysis of the 198 PAD survey responders’ top self-reported keyword terms describing their areas of expertise. “Rhetoric” and “rhetorical” are not included. Click on the image to see the results.